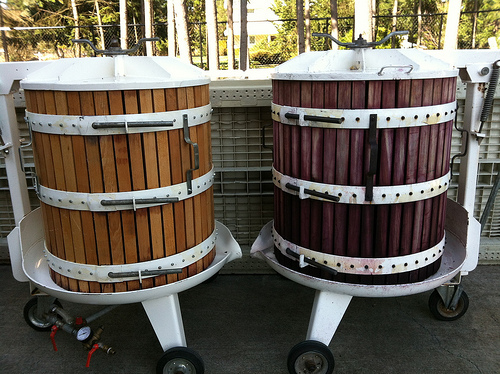 David Larsen has been making wine commercially at his Soos Creek winery since 1989. For the first seven years he made a single wine focusing on quality. In 1996 he released his second wine, Sundance. Now, with the release of his 2010 vintage David delivers 6 top notch wines for all of us to enjoy. Soos Creek recently released their 2010s and I was able to attend the release event and you'll find my impressions of the new releases below. This is the Soos Creek everyday wine. It is the final wine made after all the other blends have been completed. Don’t let that lead you to believe this is a cut rate wine. The 2010 follows in the footsteps of preceding vintages and over delivers on the $20 price tag. This vintage features grapes from Champoux and all the other top vineyards that David works with. The blend is 50% Cab, 31% Merlot and 19% Cabernet Franc. The nose is showing dusty currant and candle wax. The palate is savory with currants and black cherry that lead to a finish featuring rich espresso bean tartness. The Palisade is merlot focused. The blend is different each vintage and this year features 89% merlot and 11% cabernet sauvignon. Character of black cherry and smooth light hints of earthy all spice and a touch of bitter cocoa. This wine is ready to drink right now. The blend is 49% Cabernet Franc, 44% Cabernet Sauvignon and 7% Merlot. The nose shows clean dark cherry and herbal spices that add some lavender and violet notes with some air. The palate is a bit darker with black cherry and earthy spices leading to a dry pepper spice finish. A single vineyard designate wine. The blend changes with each vintage to achieve the style that David feels best expresses the terroir of the Ciel du Cheval vineyard. The blend for 2010 is 59% Cabernet Sauvignon, 33% Cabernet Franc and 8% Merlot. The nose is showing dark berries with savory light smoky sandalwood character. The palate is featuring dark berries, clove spices with a touch of menthol on the dry barrel spice finish. This is also a single vineyard designate wine, featuring 100% of the grapes from the Champoux vineyard which is located in the Horse Heaven Hills AVA. The blend for 2010 is 84% Cabernet Sauvignon with the balance Cabernet Franc and Merlot. Dark currants. earth, candle wax and some funk on the nose with a similar palate that adds in some tannin inspired spices and a dry semi-sweet chocolate finish. There will not be a 2011 release of the Champoux single vineyard designate from Soos Creek due to major vine losses suffered at Champoux in the winter of 2010. Grab what you can of the 2010 because the 2012 will be extremely limited. 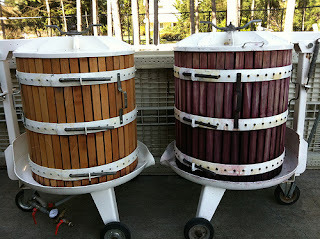 The Commander Comet is 100% syrah and the 2010 will be the last vintage for this wine. David made the difficult decision to discontinue his Syrah in order to focus on new blends and vineyards beginning in 2011. This Syrah is dark and smoky with notes of dark cherry, light smoke and cracked pepper on the palate. The finish includes spices and floral notes. Look for some new wines from Soos Creek in the coming vintages. The quality of David’s wines have helped to open doors and gain access to fruit from several other top notch vineyards in the state. We will probably see another (different) single vineyard designate wine released in the near future. 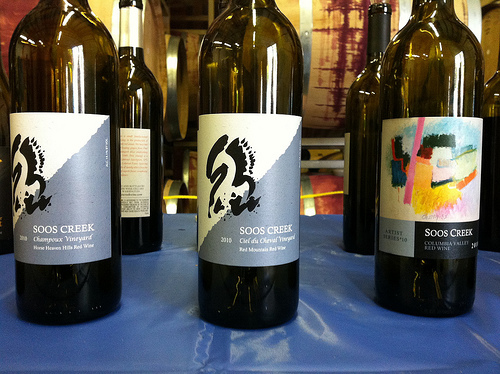 All of the 2010 Soos Creek releases are drinking well now. The Sundance and Palisade are the most approachable and ready for immediate enjoyment. The Ciel, Champoux and Artist are all showing nicely now and show signs that they will continue to improve with time in the cellar. The Commander Comet is showing the familiar notes of a hearty Washington State Syrah. Enjoy it now along with the Sundance and Palisade. These three Soos Creek wines will help keep you distracted while you let the Ciel du Cheval, Champoux and Artist Series relax in your cellar. 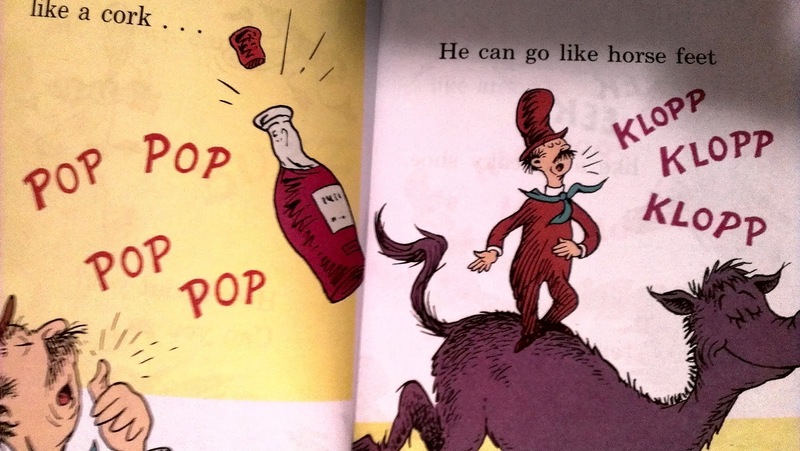 You will not be disappointed, regardless of when you choose to open the 2010 Soos Creek Vintage. David Larsen has delivered another high quality set of wines that will drink wonderfully for years to come. Thank you Masked Man for reviewing our wines. We enjoyed meeting with you at our annual open house. Looking forward to reading more of your entertaining posts!